This section on Autogenic Dynamics is intended primarily for those who have completed, or are nearing the completion, of the basic AT course with a therapist. It may also be of interest to counsellors and therapists in general, and Autogenic Therapists in particular. Research over the last couple of decades or so has revealed extra-ordinary inter-connections between Ancient Meditative type Practices, Mental Training (such as Autogenic Training and Positive Mental Training), and neuro-science. I find these links both fascinating and deeply humbling – in that some of the current ideas and concepts in cutting edge neuro-science and research reveal the wisdom and insights of various millennia-old Eastern Meditative Traditions. From the point of view of mental training and our own Well-Being, however, it is important that we keep our feet, as it were, firmly on the ground. That is to say, ideas and concepts of how meditative type practices work can interfere, if we are not careful, with the practice itself. So when we are doing an AT session, for example, the essential practice is to be gently focusing on where we are in the sequence, such as “Arms and Legs are Heavy and Warm”: and not on the neuro-chemistry of what is going on in our brains! In Autogenic Dynamics (Ross 2010) the term is used to convey in general terms the dynamics of Autogenic Training in physiological, psychological, and neuro-physiological domains. In this web manifestation of Autogenic Dynamics, and particularly in sections C and D, the concept has been expanded to embrace fundamental aspects of Mindfulness and Mindsight which Mental Training facilitates. As these processes involve internal mental and brain processes, the term Autogenic (generated from within) seems to be increasingly apt. The Autogenic Dynamics section of this website is the longest. It is divided into four sections. Stephen Porges’ research has resulted in his “Polyvagal Theory”, which is introduced in A7 and A8. This theory helps us to understand the links between the autonomic nervous system and social engagement, crucial for our well being. The original B3 section on Affective Neuro-science and the work of Jaak Panksepp has now been expanded into two parts. This update involves a new category E. This relates to papers based on talks given by Ian Ross over the years. Some years ago we looked at aspects of Autogenic Training specifically in the context of Buddhist Psychology in the article: D4: “Duhkha, Impermanence, and Inter-relatedness (Some Reflections on Sakyamuni, Inter-relatedness, and Well-Being)”. All three of these papers have a glossary covering some Buddhist psychology and neuro-physiological terms; the most extensive of these is in D11. The concepts here overlap with D3: Store Conscious and Watering Our Positive Seeds. During the last few years I have also been working on two articles on the origins of Separation Distress and Grief. The first of these, B19, is now available, and B20 will become available during 2018. The article B20: “Separation Distress – Neuro-physiological reflections on developing a Secure Base”, is now available. A new Autodynamics section is being developed, Section F. This will focus on the new Autogenics 3.0 model developed by Prof. Luis de Rivera (Madrid) during the last few years. It is this approach to Autogenic Training that Ian Ross now teaches, having found that it has significant enhancements – and fits in better with Ian Ross’s underlying philosophy and perspective on life and AT. 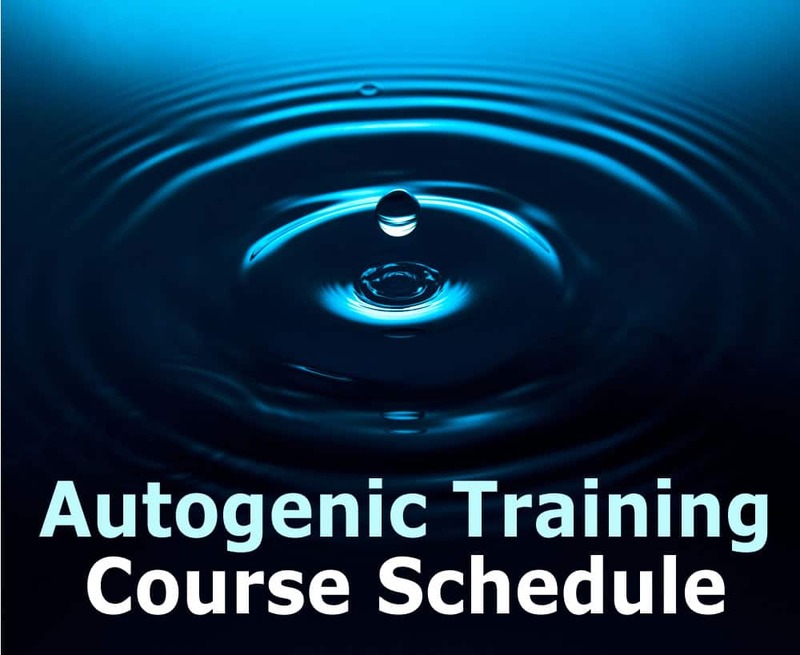 This section will cover practical articles on aspects of Autogenics 3.0, which may be of value to those who have completed a basic Autogenic Training course. Every effort has been made to ensure that the information given in on this website is accurate and up to date. However, neither Ian Ross nor the British Autogenic Society will be liable for any loss or damage of any nature occasioned to or suffered by any person acting or refraining from acting as a result of reliance on the material contained on this site. If in doubt, please consult your Autogenic Therapist or your medical / therapeutic advisor. Please also note that the ideas expressed here are those of Ian Ross, and not necessarily those of the British Autogenic Society.